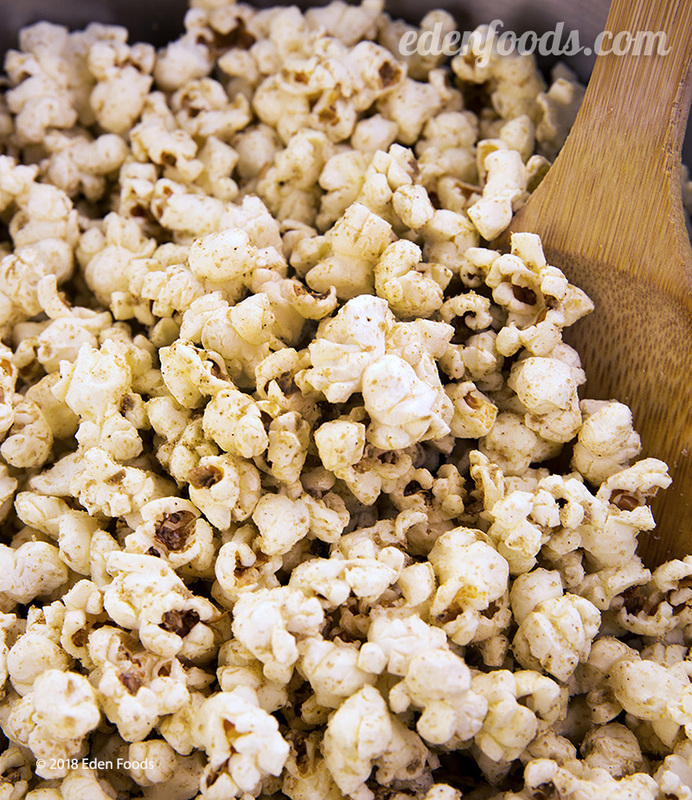 Place oil and popcorn in a medium saucepan, cover and pop per package directions. When done, pour into a large mixing bowl. Place the cumin and garlic gomasio in a blender and grind until it is a fine powder. Sprinkle over the popped corn and mix thoroughly.